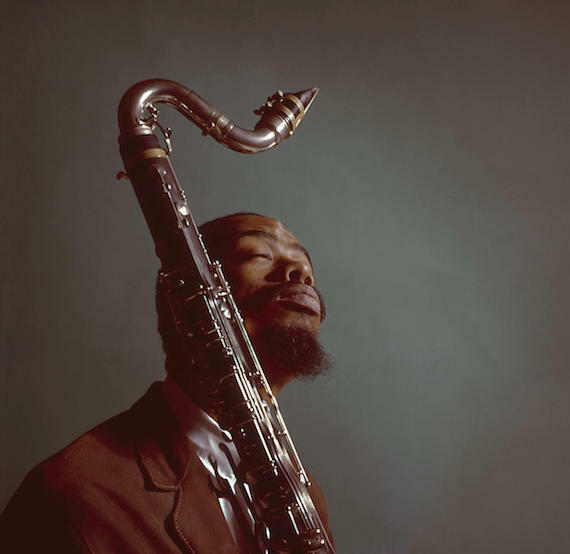 The intriguing component of this story is that the tapes that make up Musical Prophet are from the personal belongings of Eric Dolphy, which he left in a suitcase and handed off to his close friends Juanita and Hale Smith before he embarked on his fateful European tour in 1964 (he died while on tour and the young age of 36 years old). The jazz detective, Zev Feldman, found out about these recordings while attending the Monterey Jazz Festival in 2014, and shortly thereafter he connected with flutist/educator James Newton, who was given possession of the tapes by the Smiths a few decades ago and became a co-producer with Zev on this highly-anticipated release. Musical Prophet boasts a 100-page book full of rare and previously unpublished photos, plus a plethora of essays, interviews and quotes about Eric Dolphy from those who are passionate about his music and consider him an inspiration. At age 19 I was asked to record a new band of all star jazz musicians who got together Monday nights at the Village Vanguard jazz club in New York. On February 7, 1966, I recorded this amazing band the very first night they ever played in public, and then again a few weeks later in March 21, 1966. This band literally changed the way big bands played, by alternating in the same tune between a small group sound section and the full big band sound. Also, Thad Jones’ inventive, brilliant arrangements have contributed much to the big band literature and are still considered innovative and influential writing. The sound I captured was as amazing as the music. It truly sounds like the listener is there in the club hearing the band live. We spent over a year interviewing the 8 living members of the original band for our 100 page booklet. At age 22 I was asked by Bill Evans’ manager, Helen Keane, to record Bill’s trio with Eddie Gomez and newly added drummer Marty Morrell, so that she could show Verve Records the new band. This was a great privilege. The music was special and I will never forget this wonderful experience. Morrell was a perfect drummer for Bill and stayed with the group the longest of any drummer Bill had. Sax player (at the time, later music critic) Don Heckman asked me to record his group playing at a jazz festival in Manhattan’s Judson Hall. Also on the bill was Charles Lloyd, with Gabor Szabo, Ron Carter, and Pete la Roca. When I set up my microphones I asked Charles if he would like to be recorded and he agreed. We paired this recording with a live LLoyd date at Slug’s (not recorded by me) with the same personnel in the same time period. Some truly prime early Lloyd. There had been a partial bootlegged recording of John Coltrane live at Temple University in 1966 circulating for years until the Japanese Coltrane historian Yasuhiro Fujioka discovered a tape of the complete concert. Fujioka, who goes by the nickname “Fuji,” brought the recording to the attention of the powers that be at Universal Music Group who in turn approached Resonance to partner with them on the release. This auspicious recording of one of the most legendary figures of jazz brought Resonance a Grammy Award, for best liner notes (penned by author Ashley Kahn), and is one of the all-time most acclaimed albums in the Resonance historical catalog. 2016 was a watershed year for Resonance in terms of historical recordings, with a whopping 10 releases from iconic jazz artists such as Sarah Vaughan, Stan Getz, Larry Young, Shirley Horn and others. It was at the Jazzahead! conference in Bremen, Germany where news of one of the biggest archival jazz discoveries of all time was shared with producer Zev Feldman — a never-before-released studio recording from MPS Studio in the Black Forest of Germany from 1968 with bassist Eddie Gomez and drummer Jack DeJohnette. This is one of the most talked about historical recordings in recent memory, and it was quite a journey to the tapes to see the light of day. A whisper, a parking lot listen, a long train ride deep into the Black Forest and lots of patience and persistence. This was the first major historical recording project producer Zev Feldman undertook with Resonance, and in many ways laid out a blueprint for a whole new trajectory for the label into this realm. It took 3 trips to Wes’s hometown of Indianapolis, Indiana to piece together who all the musicians were and figure out other key elements about the recordings. All we knew is that it was Wes Montgomery, nothing else. The multiple trips also afforded Feldman the opportunity to get to know the Montgomery family, namely the eldest son and head of the Wes Montgomery Estate, Robert Montgomery. Since this recording, Resonance has released 4 other historical Wes Montgomery albums, and has another one in the works for 2019 pulling from additional previously-unissued mid-to-late 1950s material.